Avatar Social Network Opens it's Souvenir Store! 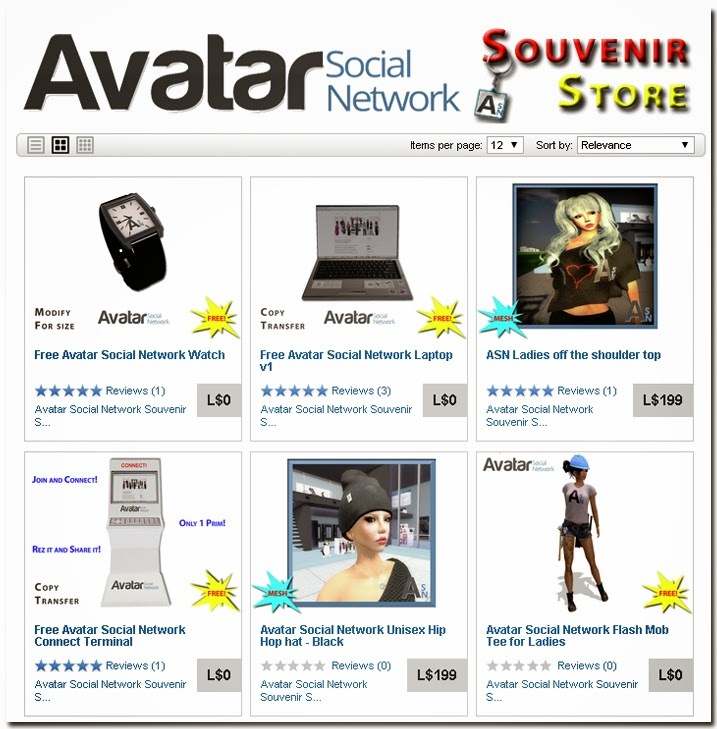 As Avatar Social Network (ASN) https://www.avatarsocialnetwork.com has became the largest social media website for avatars around the virtual world a new souvenir store has opened offering unique, collectible trade mark protected products and tools for members or anyone that just likes high quality merchandise. Currently the items are only available for Second Life residents but stores will open for other grids as well. ASN souvenirs contain items for different purposes, like social media tools, avatar accessories, clothing and so on. It's selection is growing every week as members and enthusiasts of Avatar Social Network offer their skills to make these collectible souvenirs. Some are free, some are with an affordable price.